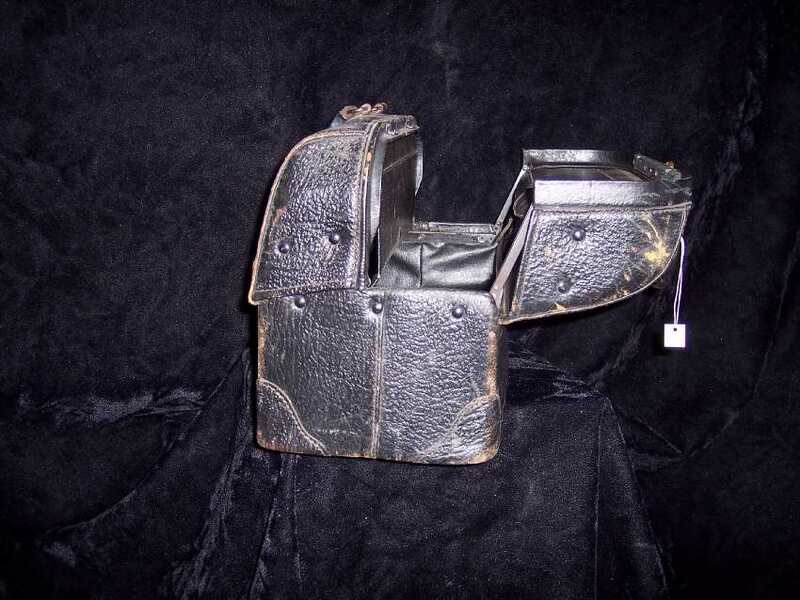 What exhibition about medicine would be complete without a black leather bag— you know the one—double handles, maybe a strap and buckle on the side? This bag remains linked to the popular image of the doctor, even fifty years after the almost complete disappearance* of the house call. 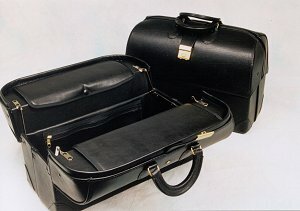 Hippocrates emphasizes that everything a physician needs should come easily to hand, and many modern bags fit the bill. 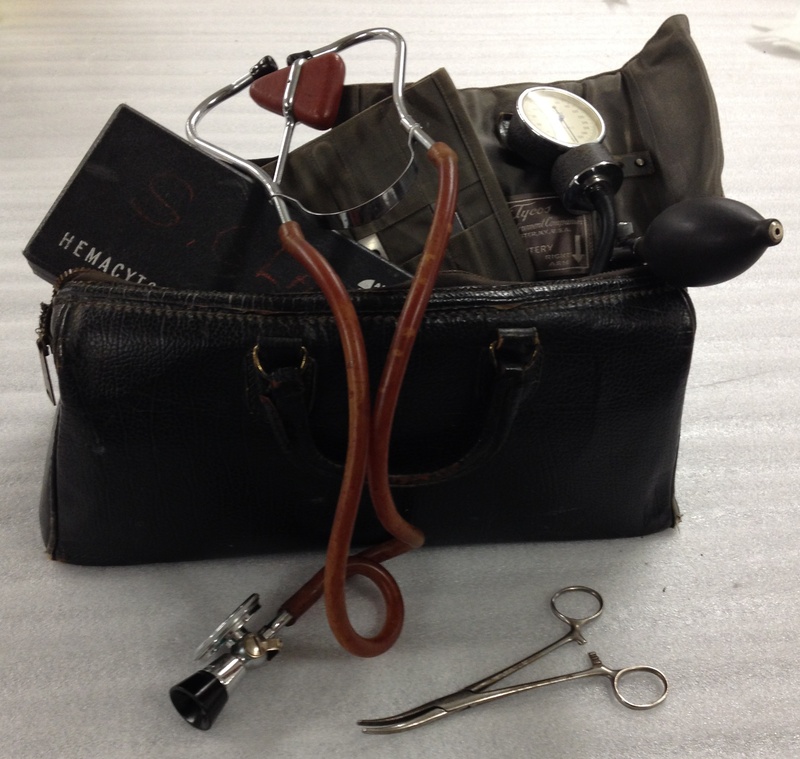 Dr. Abramovitz’s bag, a design brought out in 1941, offers many compartments to keep instruments and medications organized and intact. Similar bags are still made today. A doctor on a house call had to be prepared for routine illnesses and life-threatening emergencies, hence the need for a roomy and well-organized bag. 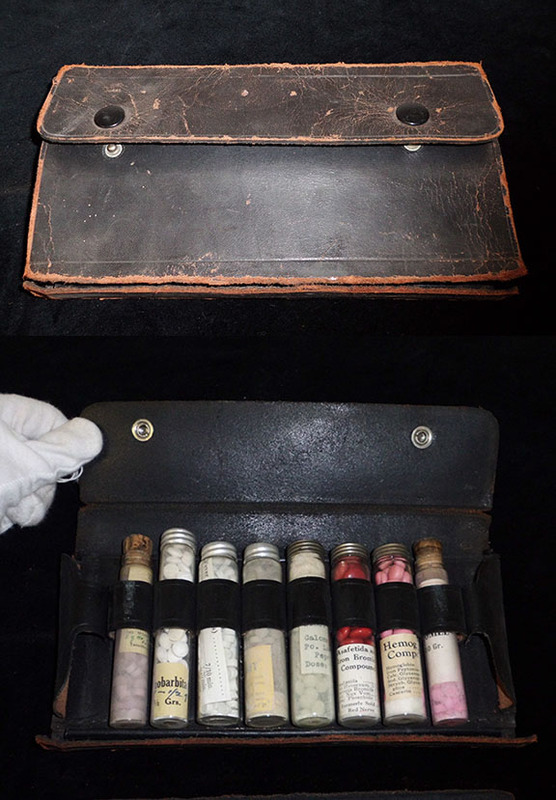 To see what might have been in a 1911 doctor’s kit, check out this Canadian Medical Association Journal article from the Museum of Healthcare at Kingston (Ontario). In the 1950s and 60s, Dr. Glass could check your eyes, ears and throat, reflexes and blood pressure, and listen to your lungs. He could take samples to do a blood count. Medications change constantly, but the list of basics includes some constants: sedatives, antibiotics, analgesics, a diuretic, an anti-psychotic, asthma and heart medications, and much more. A contemporary list from the United Kingdom, where house home visits from the doctor are still prevalent, emphasizes just how prepared medical professionals must be. Written by exhibit curator Karen Falk.